For a superior grade interior wall tile adhesive, Powdered Mastic (M.P.M) is a perfect choice. It is a fast-setting, flexible and user-friendly tile adhesive that is suitable for use on a variety of substrates. 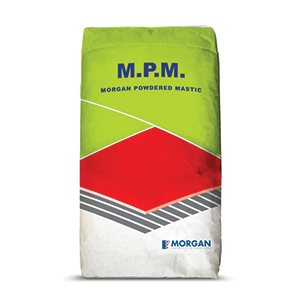 Powdered Mastic is available in a standard 20kg bag. It is ideal for bonding wall tiles in interior applications and is suitable for use on natural stone tiles, bicottura and monocottura tiles, fully vitrified tiles and porcelain tiles. 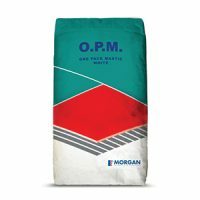 It is also suitable for use on concrete and cement rendered substrates, plasterboard and painted substrates. 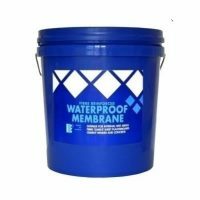 However, it is not suitable for use on porous tiles, marble, wood, MDF board and substrates that experience high moisture. Powdered Mastic is white in colour, and it is incredibly fast-setting. It sets in about 6 hours, and it allows you to grout your wall tiles immediately. It is easy to use and is completely non-toxic. Moreover, it exhibits high flexibility, greater bond strength and is user-friendly. If you’re looking for a top-quality interior wall tile adhesive in Perth, consider Powdered Mastic available at Ross’s Discount Home Centre. Buy this superior grade tile adhesive at a great price from our online store today!